RALEIGH, NC (WTVD) -- The Downtown Raleigh Alliance (DRA), in collaboration with the City of Raleigh, will be producing a new farmers market event in downtown Raleigh for the 2018 season. 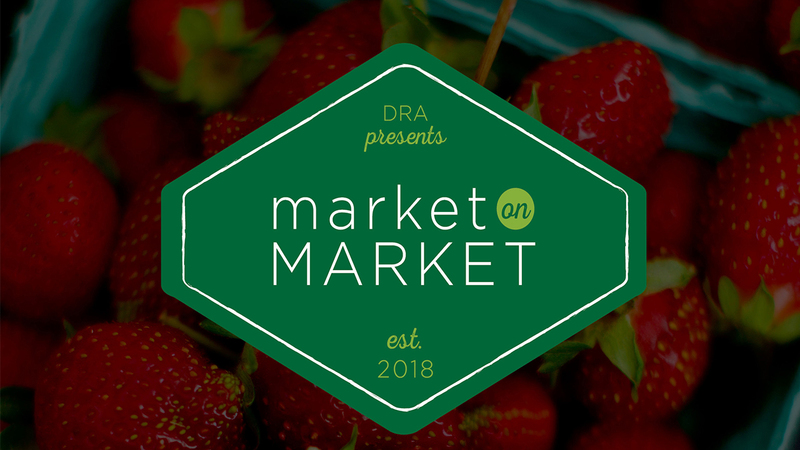 Starting Wednesday, May 9, the DRA will launch Market on Market, which will take place at Market and Exchange Plazas in downtown Raleigh. The market will run until Wednesday, September 26 and will take place on Wednesdays from 11 am to 2 pm. "We are responding to stakeholder concerns about Fayetteville Street being closed too often for events, so we are adapting to better utilize existing public spaces," said Kris Larson, DRA's President & CEO. "Market on Market will utilize the beautifully improved Market and Exchange Plazas, and will expand access to the market by moving it closer to the Moore Square Transit Station. Additionally, there is a great historic connection for markets at this site in particular, as this was the location of Raleigh's original city market, Metropolitan Hall." Built in 1870, Metropolitan Hall stood on the corner of Fayetteville Street and Exchange Plaza (the walkway next to the Pizza La Stella.) Metropolitan Hall was a multi-purpose building with a city market on the first floor. It was the center of the Raleigh economy in its heyday, with vendors selling everything from livestock and vegetables to homemade goods. "Market and Exchange Plazas have a wonderful greenspace kind of feel, one that will really add to the overall warmth of this year's markets," said Chase Bryan, DRA's Director of Events. Market on Market strives to be a guiding force in shaping the environmental, social, and financial health of downtown Raleigh by bringing high-quality local growers and food artisans together to the Raleigh community. Our vendors include North Carolina farmers, ranchers, fisherman, bakers, cheese makers, and specialty foods producers. The market will also feature downtown Raleigh restaurants serving grab-and-go lunches and local merchants. Market on Market will contribute to the sustainability and success of downtown Raleigh by serving as a community gathering place, a vehicle for a regional economy, and a center for fresh and local food. The market aims to attract people to downtown Raleigh, keep spending dollars local for creating and sustaining local regional jobs, be a hub for community gathering, and more. Market on Market is a collaboration between the DRA and the City of Raleigh, and is sponsored by Blue Cross Blue Shield NC.